Does Your Living Room Need A Wake-Up Call? Spring and summer are all about revitalizing and reawakening from the doldrums of winter! But have you ever considered your living room needs a wake-up call this season? Here are some ways that you can breathe new life into your living room. The in colors this year are perfect for revitalizing your living space. Purples and blushes, blues and of course, the color that radiates life: green! One way to integrate these vibrant colors is by using accents against a neutral background. This is the most cost effective way of sprucing up your living space, because you can always trade out accessories for a fresh look. 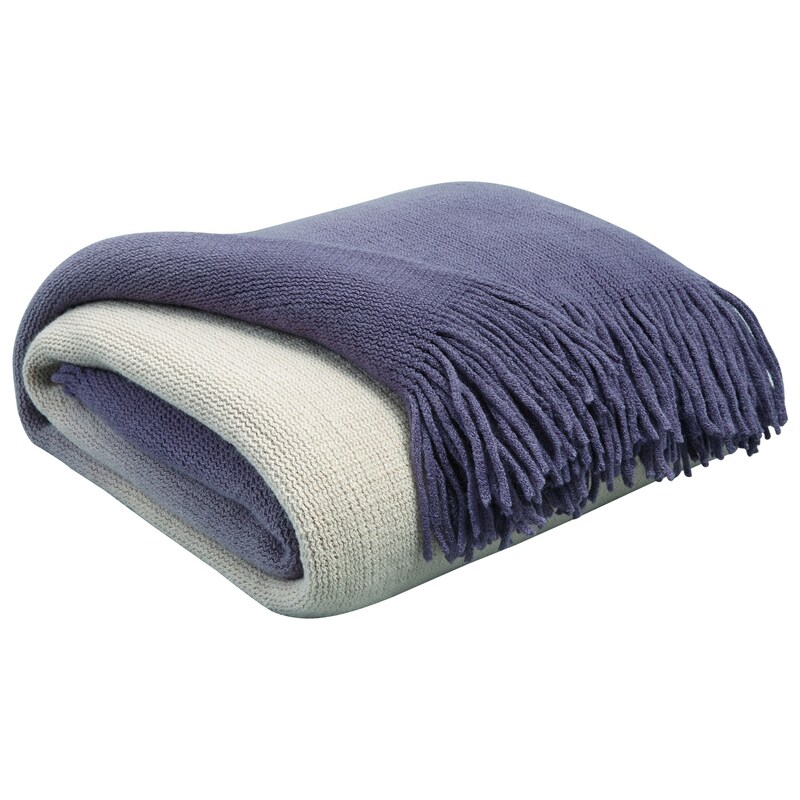 Throws add a pop of color and they’re great for snuggling on a chilly night. This navy and cream ombre Danyl Signature throw by Ashley adds just the right amount of color, texture and warmth to any space. Pillows are the accessory we don’t really think about, because most living room groups come with their own pillows. However, pillows are the best way to change up a living room without buying new furniture. This Signature Design Madalene Teal throw pillow by Ashley has the perfect blend of color and design to brighten up a living space. 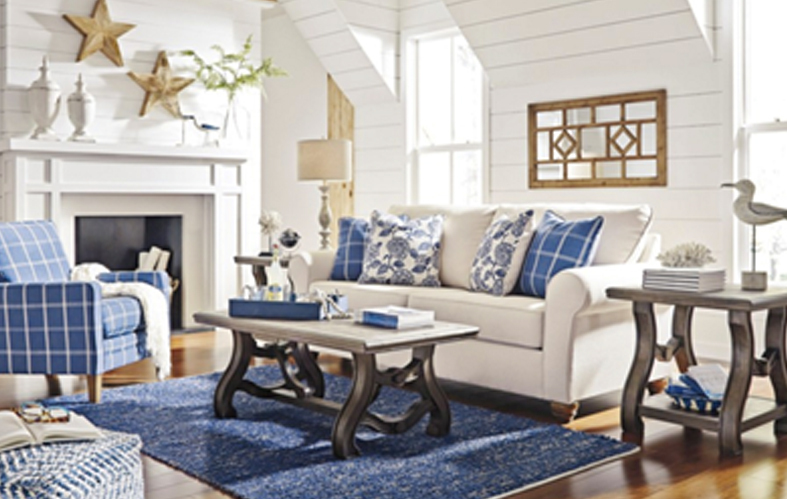 Finish your room makeover with accents that will draw color and light to the focal point of your space. Mirrors are excellent multipurpose accents, because they function as both wall art and a source of light. 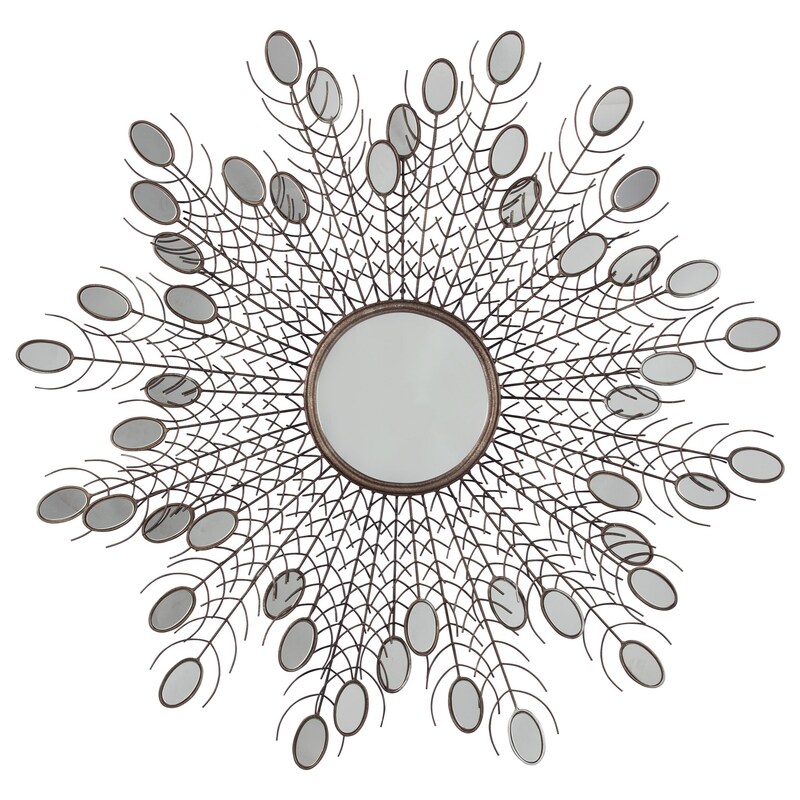 The right mirror will reflect light, add texture and interest to your living space. This is especially important if your living space is smaller, the reflected light creates the illusion of space. This Signature Design Drogo Antique Gold Finish Accent Mirror by Ashley adds texture and interest, like wall art, but also draws light and color into your space. And because it reflects any color, doesn’t need to be changed out. This is why a good mirror is the most versatile accent in the room. Another Way To Liven Up Your Living Space Is To Take The Plunge! Changing up your accents is one way to liven up a living room, but another is to take the plunge and swap out your current living room set for a new set. This may seem like a bold move, but consider how long you’ve had your current set. Has your set been abused by kids and pets? Is it just plain old? Has it seen better days? Then it’s time to revive your living room with a new set. This Lochian Stationary Living Room Group by Benchcraft combines all of what hot in furniture design and color this year! Bold patterns against elegant neutrals, streamlined retro lines combined with modern features and comfort, and a wide variety of mixable, customizable accessories that make this space both distinctively you, and easy to style. This Lochian living room group is an excellent example of how adding a fresh coat of paint and changing up your entire living room can breathe new life into your home. And the shades of teal accented here are variations on the hottest color of 2018 and 2019! 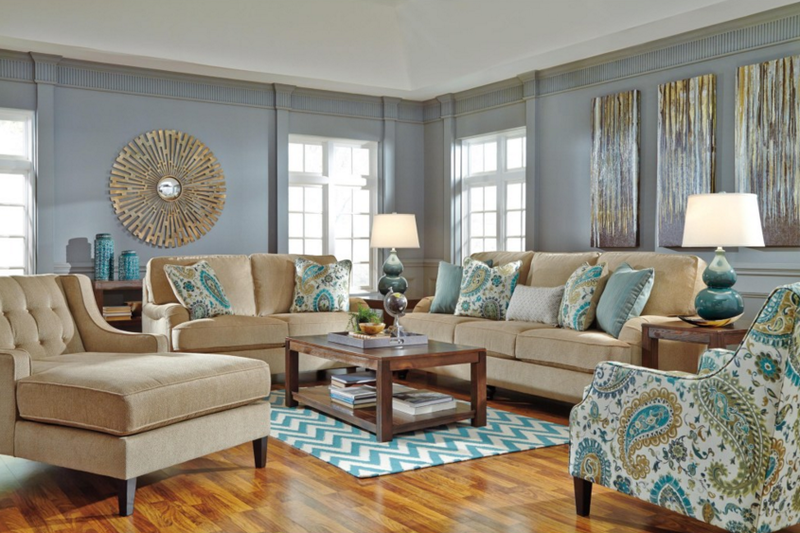 The Valhalla Contemporary Living Room Group by Klaussner offers a more classic blue accent with a much softer feel and a much softer line, but that doesn’t mean that this group doesn’t pack a punch! The light sofa perfectly backdrops the accent pillows that pop against the medallion print on the armchairs. This is the perfect combination of contemporary, retro and classic. Are you a little bit country and a little bit rock and roll? 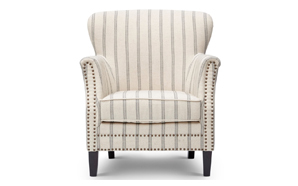 This Adderbury Stationary Living Room Group by Benchcraft offers the best of both worlds. Just enough modern lines with the soft feel of country living. 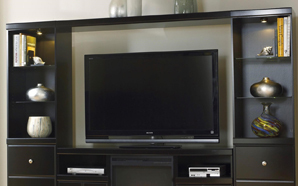 This is a perfect look if you have dull, dark paneling in your living room or family room. Lighten and brighten everything up by priming and painting right over the paneling. The bright white actually invites the sunlight in! 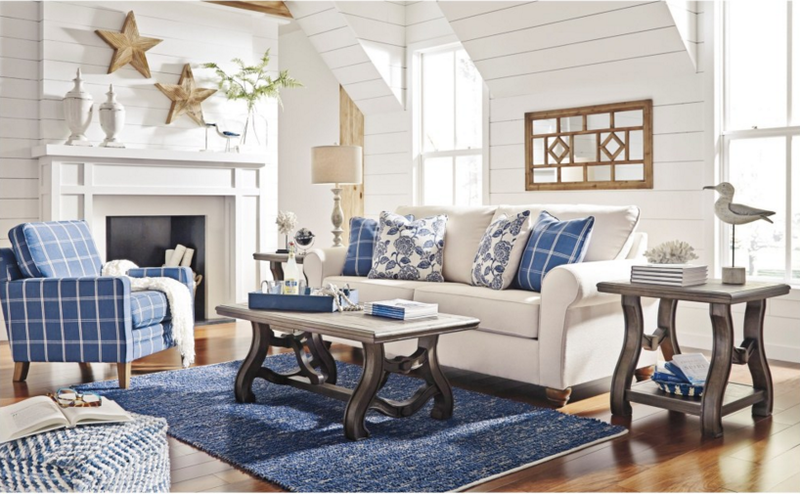 And the plaid and heathered blue accents cool off and balance the natural light. If you don’t have tons of natural light or your space is small, like we mentioned above, add a few accent mirrors across from windows, to brighten up your space. Are You Ready To Switch Out Your Accents Or Take The Plunge? If you’re still unsure of whether you want to update your accents or update your entire living room, visit Value City NJ. 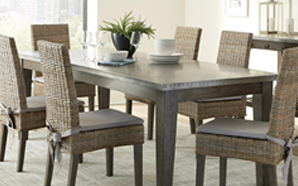 Our in-store experts can help you to decide the best way to revive your space.